What Causes Low Trust in Your Organization? 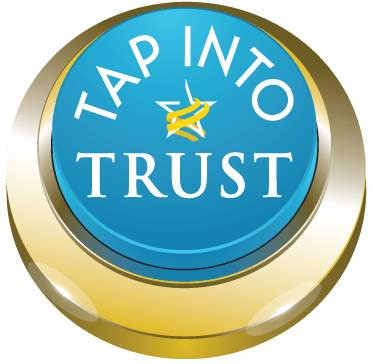 In preparation for the first anniversary of Tap Into Trust, we have been running an anonymous one question/one minute survey to identify the primary causes of low trust in organizations. The results may surprise you and provide insight into what needs fixing. Which of these 12 trust principles do you consider the weakest in your organization? Transparency? Integrity? Respect? None of those would be correct. Remember, You can’t manage what you haven’t measured. Learn how you can bring this trust diagnostic into your team or organization. Can We Agree on This Definition of Trust? Easy Shortcut to Trust? Not so Fast! In the words of Abraham Lincoln…. You can fool all the people some of the time, and some of the people all the time, but you cannot fool all the people all the time. The same applies to trust. These commonly taken shortcuts to trust may fool some of your stakeholders, but won’t fool them all, and over time they may come back to haunt you. Narrowly defining trust in a way that suits the trustee. Brand loyalty, check the box sustainability, philanthropy, “feel good” CSR, blockchain solutions and data security are not trust. Neither are reputation, loyalty or transparency. Delegating trust to a motivational speaker instead of a subject matter expert. Paying for a “great workplace” award. Beefing up the legal and compliance staff. Making trust a PR campaign based on “talk” rather than action. Do we really need more proof that shortcuts to elevating workplace trust do not work? According to a new global study by BBMG and GlobeScan, “Brand Purpose in Divided Times,” net trust in global companies to act in the best interest of society is negative (-2). And for the first time since 2009, more consumers say they have punished companies for their behavior (28%) rather than rewarded them (26%), and the number of those who are punishing brands is up by 9 percentage points since 2013. According to 2018 polling by the Public Affairs Council, only 7 percent of Americans believe that major company CEOs have high ethical standards, and only 9 percent have a very favorable opinion of major companies. Only 42 percent of Americans trust major companies to behave ethically, down from 47 percent last year. Gallup’s 2017 reports: A highly engaged workforce means the difference between a company that outperforms its competitors and one that fails to grow. And according to their recent State of the Global Workplace report, 85% of employees are not engaged or actively disengaged at work. The economic consequences of this global “norm” are approximately $7 trillion in lost productivity. Eighteen percent are actively disengaged (up from 2015) in their work and workplace, while 67% are “not engaged. Building a “principled culture” of high trust and ethics is not difficult. It simply requires leadership buy-in, and a bit of vulnerability. High priced quick fixes might fool some of the people in the short-term, but in the long-term sustainable businesses are built on trust from the inside out, not the outside in. In our recently launched one minute (free and totally anonymous) diagnostic survey called “Building Trust One Principle at a Time,” we ask which of twelve universal trust principles (TAP) are weakest in your organization. At the end, respondents will see how their workplace compares to all others. Bringing this tool “in house” will provide enlightened leaders, teams and organizations with a baseline trust “temperature” from which to build long-term business health. Just tap on the Take our Quiz button or go direct to the Survey. If trust is the “new currency,” as some have recently claimed, the challenge will be to “get it right” by avoiding the shortcuts and embracing the solutions. Barbara Brooks Kimmel is an award-winning communications executive and the CEO and Cofounder of Trust Across America-Trust Around the World whose mission is to help organizations build trust. Barbara has consulted with many Fortune 500 CEOs and their firms, and also runs the world’s largest global Trust Alliance . She is the editor of the award-winning TRUST INC. book series and TRUST! Magazine. Barbara holds a BA in International Affairs and an MBA. For the past three weeks Trust Across America-Trust Around the World has been running an anonymous one minute/one question diagnostic survey/quiz to identify the weakest links in trust among teams and in organizations. The survey is based on 12 crowd-sourced universal principles called TAP. The Principles have been accessed over 40,000 times in the past 10 months. When effectively implemented, they will elevate trust in any organization of any size. As of today, Accountability has been identified as the weakest of the 12 Principles with 40% of respondents flagging this statement as “weak”: We hold one another accountable – we each take responsibility without regard to level or role. If you are not accountable, why would you expect your team members to trust you? If you are a member of a team or lead one, accountability is an essential trait. Lack of accountability leads to distrust which, in turn, leads to disengagement. When you find yourself falling back on an excuse, stop and think about the impact it has on your team and consider using an alternative response instead. This is a list of the most commonly heard trust BUSTING excuses and an alternative trust BUILDING response. Trust Busting Excuse #1: It slipped my mind. Trust Building Response #1: I won’t forget. Trust Busting Excuse #2: Sorry, I’m going on vacation. Trust Building Response #2: This will be done before I go on vacation. Trust Busting Excuse #3: I’ll do it later. Trust Building Response #3: I will do it right now. Trust Busting Excuse #4: Keep reminding me. Trust Building Response #4: You will not need to remind me. Trust Busting Excuse #5: It’s not on my “to do” list. Trust Building Response #5: I’m putting it on the top of my “to do” list. Trust Busting Excuse #6: It isn’t a high priority. Trust Building Response #6: I’m giving it high priority. Trust Busting Excuse #7: It was just a white lie. Trust Building Response #7: I admit to being dishonest. Trust Busting Excuse #8: I’m very busy. Check back later. Trust Building Response #8: I’m very busy right now but let’s talk in one hour. Trust Busting Excuse #9: I thought I did it. Trust Building Response #9: I will take care of it right now. Trust Busting Excuse #10: I ran out of time. Trust Building Response #10: It’s more time consuming than I thought, and I will get it done. Don’t forget to TAP into Trust! Copyright(c) 2019, Next Decade, Inc.
How Much is Low Trust Costing You? When trust is low, fear is high, and fear is very costly. What is your organization doing to cut the losses of low trust? The “fix” is relatively easy and inexpensive. And it begins by acknowledging that low trust is costing you money. Like a disease, if low trust is ignored, it continues to spread. Our newest Trust Tool is based on our Trust Alliance Principles (TAP), the result of the collaborative efforts of dozens of the world’s leading trust scholars and practitioners. Since April, these principles have been accessed over 40,000 times in 16 languages. This tool will provide any team (including the Board of Directors,) or organization of any size in any industry, with a simple roadmap to track and elevate trust. Barbara Brooks Kimmel is an award-winning communications executive and the CEO and Cofounder of Trust Across America-Trust Around the World whose mission is to help organizations build trust. A former consultant to McKinsey and many Fortune 500 CEOs and their firms, Barbara also runs the world’s largest global Trust Alliance, and is the editor of the award-winning TRUST INC. book series and TRUST! Magazine. Barbara holds a BA in International Affairs and an MBA. Don’t forget to TAP into Trust! The trust “talk” is increasing in frequency and volume, and that’s a good thing. Or is it? At least leaders are thinking about it. Yet when it comes to defining trust, those same people are either getting stuck (at best) or using the word “trust” as a placeholder (at worst.) When trust is misdefined or misidentified, it not only gets diluted, but stakeholder cynicism quickly builds. If you choose to talk it, keep in mind that trust takes many forms, each with it own distinct definition. Make sure you are using the right one! For those who want (or need) a refresher course, Charlie Green and I wrote this article, complete with definitions (and much more,) almost 3 years ago. And if you want to see how you are doing in the “trust department,” we offer this brand new one-minute quiz. How are you defining trust and how does your organization compare to others?